Hello my name is Lynzie Bacchus. I am 20 years old and have been dog sledding since I was 10 years old. 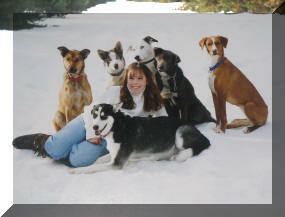 My first sled dog race was in Mackinaw City, I ran the hundred yard dash. From then on I was hooked on dog sledding. I then got 2 Samoyeds and started to "train" my own dogs. That year I raced in Baldwin with my two dogs and from then on I started to "train" and breed my dogs. I started with Samoyeds and Siberians and have now switched to Alaskan Huskies. We are a sprint kennel that races all over Michigan with M.U.S.H and GLSDA. I now have 25 dogs total and 17 of them are competing sled dogs. We usually only have a litter puppies only every other year or so. 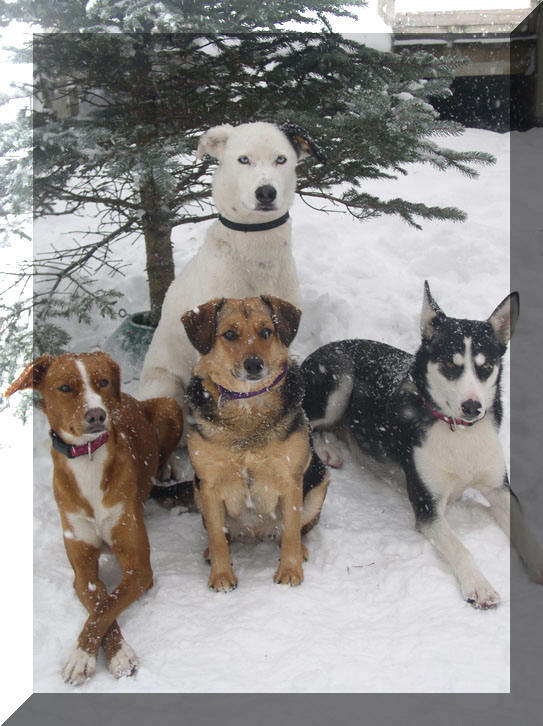 We have ran and completed the Jr. Iditarod in 2003 and have been the only team from Michigan to ever complete it. We are located in Mesick, Michigan.